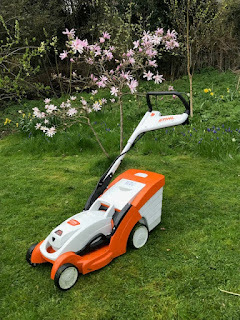 As regular readers will know, I recently reviewed the new book from Anne and Michael Heseltine that is a celebration of their garden at Thenford. I said in my review that I thought that Thenford was an important garden and that I very much wanted to visit. 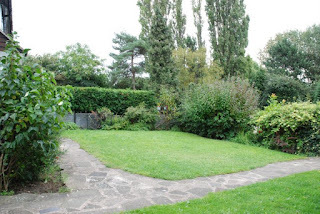 After checking their website I found the list of dates that this private family garden is open and duly applied. Thenford is about an hour's journey from home. We set off late morning and arrived just as the garden opened. We were faced with an immediate dilemma. Did we join the small queue for soup or go through and join the scrum around the snowdrop stall. People were bee-lining for the stall and scooping up the precious snowdrops. We decided that lunch would be first and we would take our chances with the snowdrops. The snowdrop stall was loaded with different types of snowdrops. So many names and different types and prices. Some were as much as £70 a pot. I glanced at them and appreciated their rariety but that was too costly for me. A purchase was made of Madeline, a very pretty yellow snowdrop. I've been hankering after a yellow snowdrop and this day was the day the hankering ceased. We bought one pot so we could share the cost. 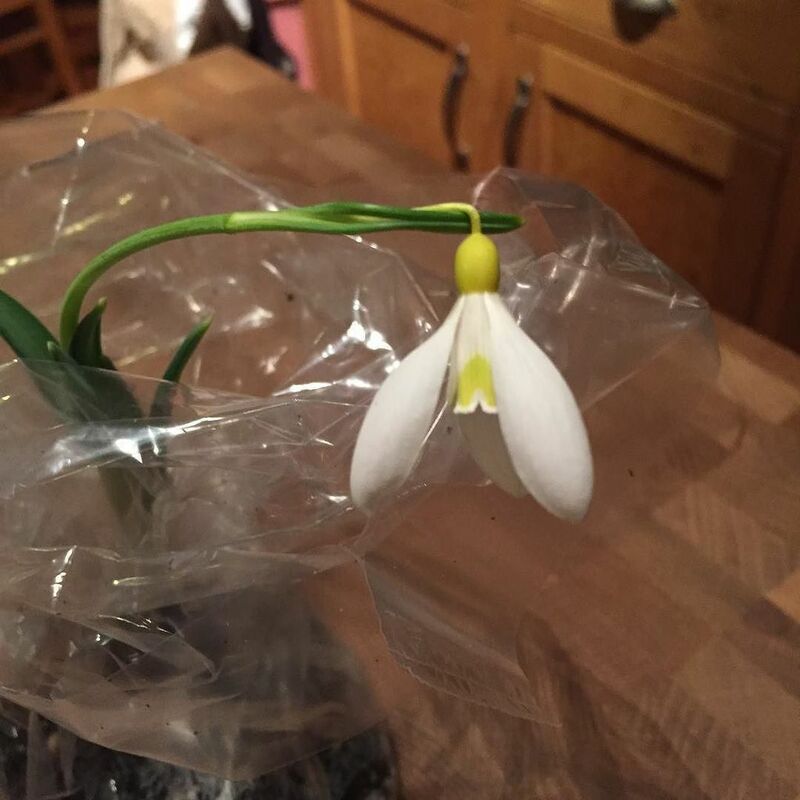 It is even then this is the most expensive snowdrop I have bought. I shall be hoping to see it again next year! Snowdrops purchased and safely stowed back in the car, we set out into the garden. Rarely has a map been so needed. This is not a small garden and there is much to see. ..... and parts of the garden that show off the collection. There are clumps of snowdrops are carefully named and laid out so you can appreciate the distinct differences between them in various parts of the garden. This mixture of approaches is very much the best of both worlds. I very soon found I was peering at them and making ooh noises. When you're taking photographs of the interesting reverse side of a snowdrop you know that the collecting bug is very catching. It is also a garden of sculptures. There are some incredible sculptures that fit their setting perfectly. It is above all else a garden that is personal to Lord and Lady Heseltine. Their initials mark various moments around the garden. I loved this bench that was situated in the rose garden. The rose garden is a little bare this time of year, I am standing behind the bench here and you can see it looks out towards the late. I think the sun would set over the lake from this point and that must be a wonderful sight. Watching over the rose garden is this rather fine bird. The walks through the grounds were full of scents from viburnums and hamamelis. Pan makes more than one appearance in the garden. Pan is god of the wild, shepherds and flocks. When I see Pan I totally give away my age as I immediately think 'Piper at the Gates of Dawn', which is (for me) a bit of a Pink Floyd/Wind in the Willows moment. I like that he has his place here in this garden. The garden leads you on and through many openings. As I said previously I think that Thenford is a great garden. It is created with a similar vision to many of the great Victorian if not older gardens. One thing that gives me even more confidence in saying this as that at this time of year a garden is stripped to its bones. If it's bones are good, then the garden itself has a fair chance of being equally good. Let me explain further: there are the calming green spaces. This smallish (in Thenford terms) lawn and lumpy box hedging was a real delight. Just to walk through and let the mind rest from all the sights that had been seen was perfect. There are the grand vistas. I love a good rill and cascade at the best of times and this has to be one of the best. It is on the scale almost of some of the ones I saw when in Italy last year. There are the hedges, the many hedges. Just look at the line of the hedges around the circle gardens. There are apparently ten gardeners employed and the care and attention and skill was very apparent. In the sculpture garden these are used to great effect. The concept of garden rooms is well established but these were more like garden peep-holes. As you walked along you got glimpeses of the sculptures and then you had to find the way in to actually see them up close. I cannot begin to describe to you how much I loved this. When talking about the whole use of 'light and dark' in gardens, this is a master class. You are led along narrow paths to discovery. Rarely have I seen sculpture so well placed in a garden. This one was almost my favourite, she exudes graceful quiet. Now I know that this is one of the most famous and one of the most dramatic pieces in the collection but I cannot tell you how wonderful it really is. A piece this big is difficult to place well and this is placed well. I loved it. There are many surprises in the garden, this is not quite an elephant in a pink cage. I love the elephant, it has that quality about it that makes you want to reach out and touch it. I can never explain how some sculptures have that effect on me, but there is something about making contact with it that is almost irresistible. I thought that if I owned it I would probably want a bench nearby. We could then sit and keep each other company and share thoughts as the sun sets. There is a temple lion on top of a mound. and what I would term Portmeirionesque gates into the trough garden. and an ice-house that almost looks like a hobbit-hole. There is more, so much more to this garden but I am going to stop here. As ever I think it is better to leave much untold in the hope that if possible readers can go and discover for themselves. It is worth it. With grateful thanks to Lord Heseltine for giving me permission to write about my visit. What a brilliant place - particularly like the sculptures! Yes it's really interesting especially as it's a relatively new garden. I loved the sculptures, there are many more than I have shown. This is a wonderful garden which I need to visit as soon as possible! It sounds bigger but no less special than I would have expected it to be. I love the idea of hunting for statues, what a clever concept. And lucky you to get to go. What an amazing garden, glad you found a yellow snowdrop before starting your garden visit. The sculptures are amazing, so many of them and all so different, you certainly had a wonderful visit.